In the Junior school we offer the chance to embark on Theatre studies. The key focus of this course is the opportunity to learn both the practical and theoretical side of the stage to uncover the secret of shining in the spotlight. 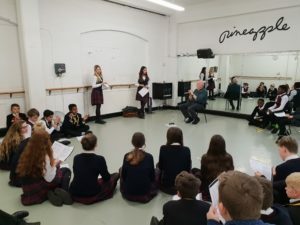 Scholars start a journey towards an internationally recognised LAMDA, with Performing arts opportunities and in-school competitions. 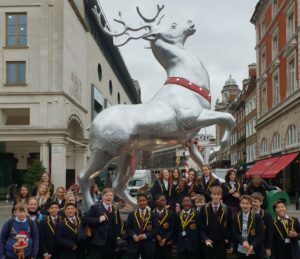 Form 2 and form 4 GCSE Drama students travelled to London to take part in a drama workshop at Pineapple Studios. 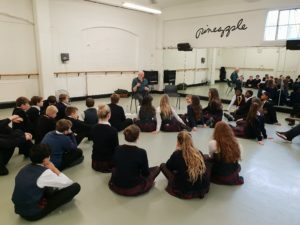 The workshop was led by professional actor Hugh Ross. 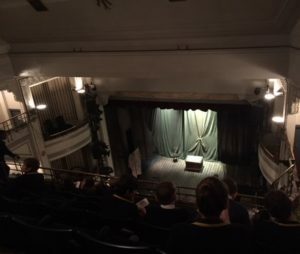 We went to the Fortune Theatre in Covent Garden for a spine-chilling performance of The Woman in Black, which the form 2 students had been studying.